Welcome back to another episode of How to Store Your Food. So much beautiful food is wasted daily due to our negligence of fruits and veggies. They don’t deserve it. Treat ’em with care, or one day you’ll be confronted by some pretty pissed off decaying asparagus. In this round, we’ll cover storing herbs, carrots and mushrooms. Oooh…this is a good one. Herbs never seem to last, ever. 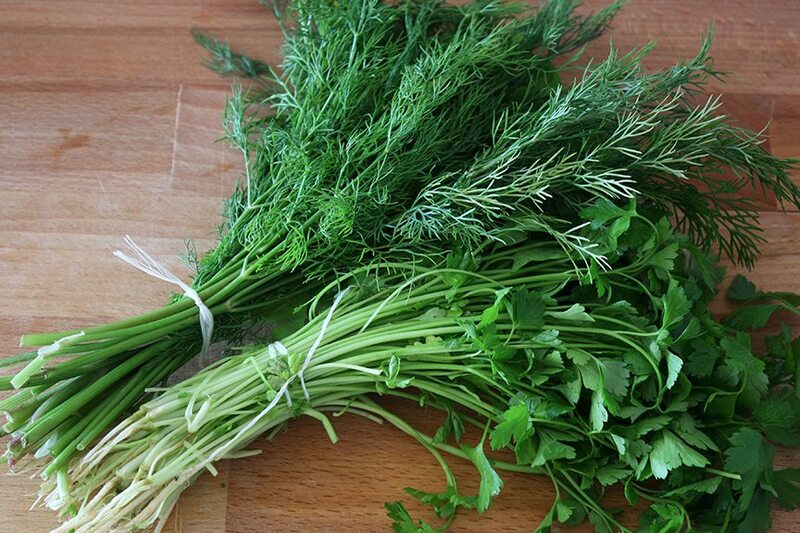 Use this method, and cilantro and parsley will stay fresh for weeks, thyme will last months. Seriously. The two biggest reasons that herbs don’t keep are exposure to light (why your basil turns black) or the herbs get too dry (why your cilantro wilts). Let’s solve those problems, shall we? Rinse and pat dry your herbs. Wet your hand and lightly flick drops of water over a paper towel leaving some damp spots. The paper towel should not be wet. Roll the herbs up in the towel and store in a zip top bag. Normally, I store all of my herbs rolled up individually in one gallon-size bag. Saves space and keeps them from getting sucked in to the deep dark reaches of my fridge. It’s for their own good. Every week to 10 days, I replace the paper towels to keep them fresh, but that’s about it. Carrots can last months, depending on how you store them. Since Armageddon has not arrived, knock on wood, I have no need to hold on to carrots for months at a time. A few weeks of fresh, crisp carrots is sufficient for me. 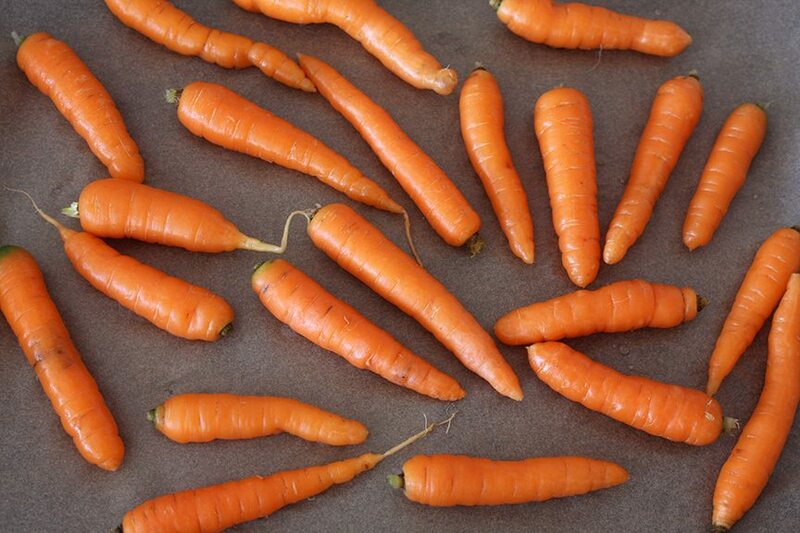 When you bring home the carrots, give them a scrub and rinse. Trim the leafy tops to 1/2″ from the carrot. Wrap the carrots in a damp paper towel and store in a zip top bag. They will last at least a month. Change the paper towel every 10 days to 2 weeks. For those who would like to prepare for possible carrot shortages, keep carrots fresh for months by storing in the ground or buried under straw. Got some carrots and in need of a recipe?? Well then, may I suggest Thyme and Lemon Carrots. Shrooms are simple to care for. If you buy them pre-packaged, all you have to do is put them in the fridge and they will keep for about a week as long as they stay wrapped. For all other mushrooms, store unwashed in a paper bag in the fridge but NOT in the crisper or slime will ensue. 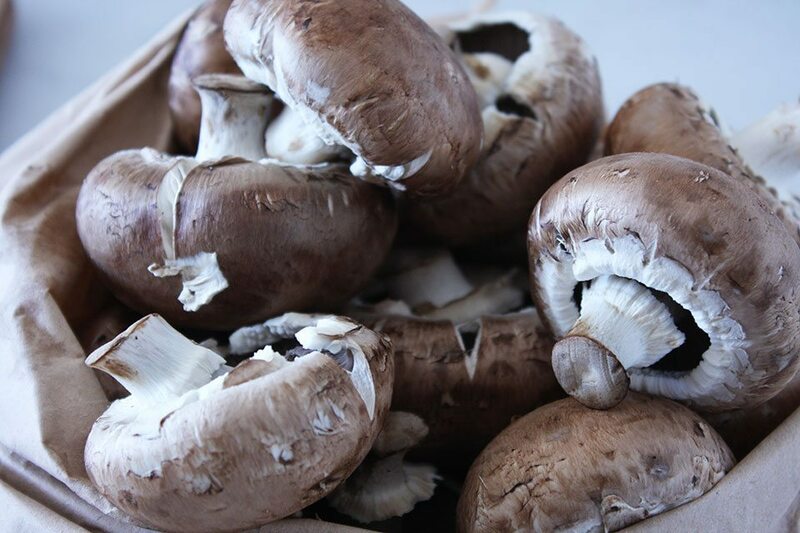 When you are ready to use your mushrooms, take a damp towel and wipe them down. Mushrooms are incredibly porous, so if you rinse them in water, they will absorb it and then taste like WATER instead of shroomy goodness. Did you miss Episode One? Get the scoop on storing tomatoes, berries and lettuce. In the next episode, we’re exposing citrus, avocados and asparagus. Sign up for the Nomad feed and get new posts carefully escorted to your inbox by one of our virtual butlers. What informative posts! Thank you for refreshing me on how to store my veggies…there is nothing worse than watching produce go bad. I am enjoying your blog, thank you for sharing! Hi Sara! These are awesome tips! I always want to stretch my herbs and produce as long as they can survive, so this would greatly help. I've used the paper towel method many times already! Thanks Krissy and sweet life! Happy to help!